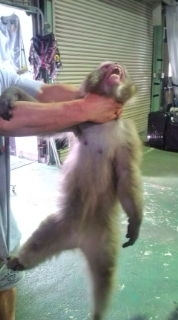 The European and International Community of Animal Defenders has learned from the internet that a macaque named Kora, has been abused for ten years by wrestlers belonging to ‘Dragon Gate’, a Japanese professional wrestling group. The group is starting its first US tour. – Choked him by the neck until it passed out. – Burned him with charcoal. – Threw him into a tub of boiling hot water. – Blew air into his mouth so it would defecate itself. – Gave him sake (Japanese alcohol) regularly until it would pass out. – Dragged it around by a chain on its neck. – Locked him in a box and sprayed antiperspirant inside, causing it to freak out. The wrestlers implicated are Shingo Takagi, Akira Tozawa and Katsuo/Yuki Ono, after they openly blogged about the abuse. An other wrestler, named Yohei Fujita, alias Ryoma, considers the treatment the group gives the monkey to be very funny. 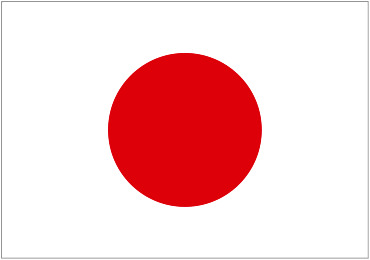 It is obvious that the animal abusing Dragon Gate group casts a slur on the good name of Japan. – We request Japan to take their professional license away from the wrestling group Dragon Gate. – We request Japan that wrestling group Dragon Gate will be severely punished and that the abusers will be put in prison. Demonstations against the animal abusers will happen in the USA tour unless you take immediate action to stop any animal belonging to these abusers.